How many 145 pound, 16 year olds do you know that are Squatting and Deadlifting 225# for reps? Look, we've said it before and we're saying it again: Nothing is more important for athletic performance than being able to forcefully open the hip. And nothing does a better job of developing that kind of strength than Squats and Deadlifts. 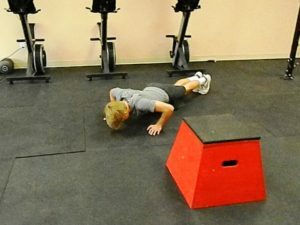 Don't be fooled by flashy "speed/explosive" training. If your athlete doesn't have a strength foundation built on heavy barbell work, they are not reaching their … [Read more...] about Deadlifts don’t lie. Hoodie twins Amy and Erin busted out their super-hero powers for some strong lifts at GWCF today. Erin pulled a 4x225# Deadlift, while Amy double-PR'd on Back Squat (215 & 225#), then pulled 4x215# on Deadlifts! Don't be an April Fool. Get yo'self down to Gateway CrossFit and go from Zero to [Super] Hero! … [Read more...] about Wonder Twin Powers ACTIVATE!! "Strong people are harder to kill than weak people, and more useful in general." -Mark Rippetoe. Sure, it's a funny quote. But it's also true; and not just in the sense of physical assault. Strong people are more likely to survive accidents and disease. That's a fact. And if you're not lifting heavy things, your fitness regimen is inadequate; potentially dangerously so. That's a fact. Speaking of strong people, congrats to Erin, Jess, and Megan who put up Back Squat personal records of 1x200#, … [Read more...] about Strong People. No not Public Relations; Personal Records. 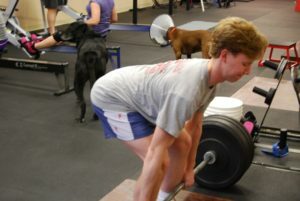 And what a week it was: -Matt H: 240# on Back Squat and 285# on Deadlift! -Rachel L: 120# on Back Squat and 5x140# on Deadlifts! 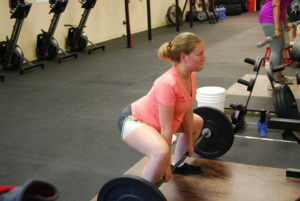 -Megan E: 150# on Back Squat and 4x150# on Deadlift! -Renee G: 165# on Back Squat and 7x150# on Deadlift! -Jeff L: 2x225# on Back Squat! 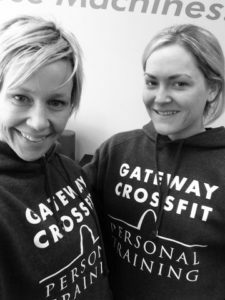 -Laura B: 90# on Back Squat and 5x90# on Deadlift! -Lauren F: 6x195# on Deadlift! -Andy D: 275# on Back Squat! -Amy L: 215# on Back Squat and Deadlift! -Lee H: 5x175# on Deadlift (15 … [Read more...] about PR Week! Congrats to IFPA Pro and Team TCP (The Complete Package) member Amy Lescher for a double PR on Back Squat and Deadlift; 205# and 200# respectively. That three months in a row of PR's on Singles Day!! Great work Amy!! … [Read more...] about Boom!